Hundreds of protesters clashed with police in Indian Kashmir on Wednesday after government forces killed a suspected rebel in a gun battle, police said. According to the reports that three soldiers were also injured in the battle, which began, when government forces cordoned off the village of Heff, around 50 kilometres (30 miles) from the main city of Srinagar, where they suspected rebels were hiding out. At least 15 people were injured in the clashes, including nine policemen and a district administrator,” a police officer said on condition of anonymity as he was not authorised to speak to media. 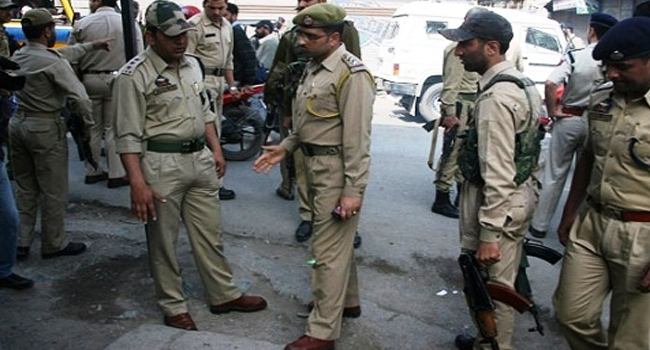 Meanwhile police officer said the dead man was a member of Hizbul Mujahideen, one of several rebel groups seeking independence for Indian-administered Kashmir. The latest clashes came a day after the regional Peoples Democratic Party agreed to form a coalition government with ruling Hindu nationalist Bharatiya Janata Party following state elections last year.